Audi could be criticised for many things in 2018, but thoroughness is not one of them. 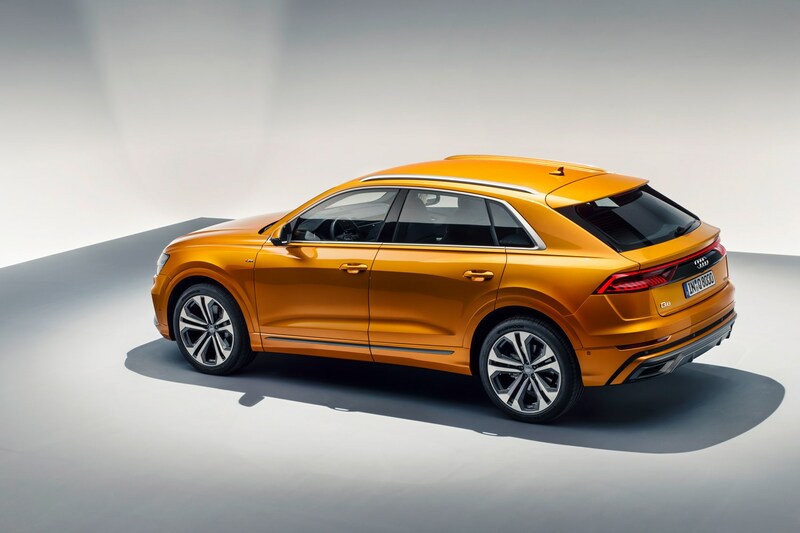 The RS Q8 is a car we always expected would come, and it’s the latest move in Ingolstadt's systematic strategy to cover absolutely every single base in the car market. 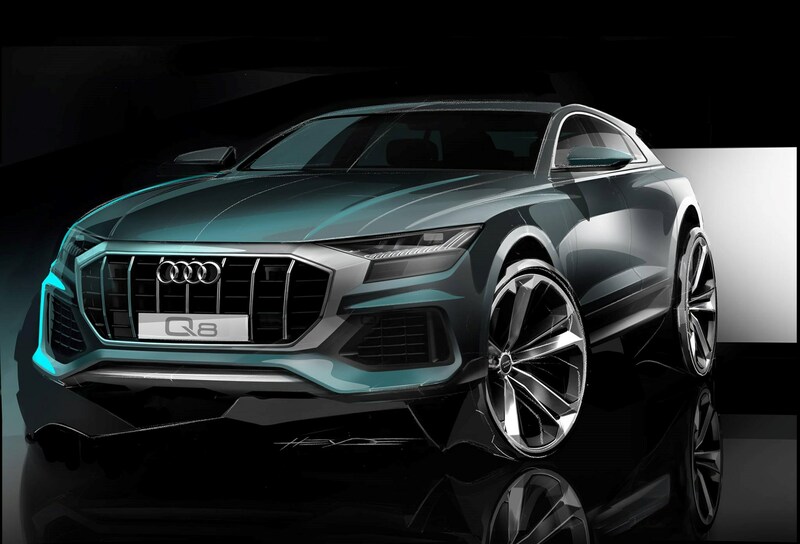 You’re probably so used to Audi’s MO now, that you’ll know exactly what the RS Q8 promises, but for those less familiar, this is will be the faster version of the car maker’s flagship Q8 SUV. Although the RS Q8 is camo’d, you can see all the tell-tale RS design touches, from dropped, aggressive bumpers to huge composite brake callipers. And just like the Audi R8 GT or RS we saw earlier this week, Audi have popped on two drainpipe exhausts at the rear. So where does this fit in? If Audi keeps going at this rate of SUV growth, it’s going to run out of Q numbers. 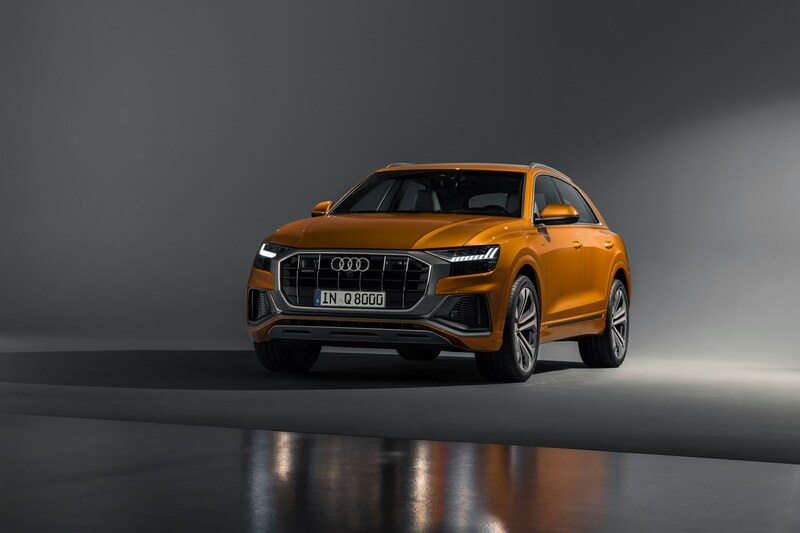 This is the all-new Audi Q8 SUV – Ingolstadt’s new flagship crossover. 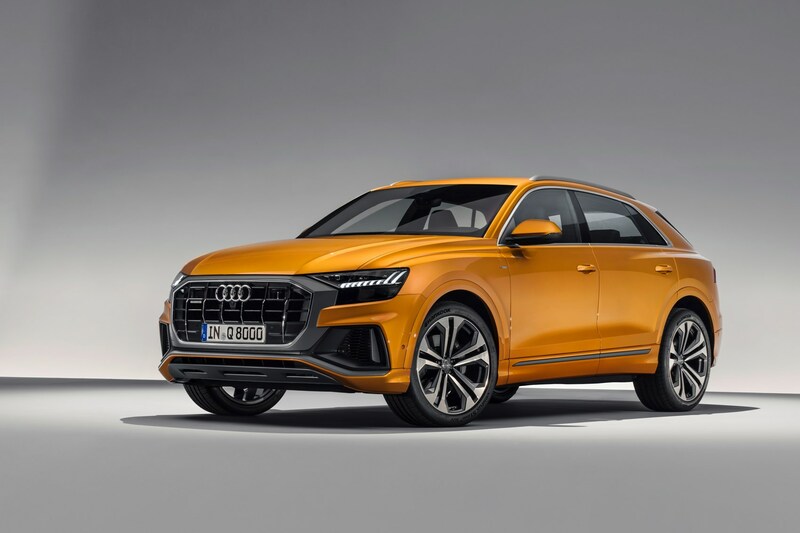 Audi's new Q8 will take on a huge number of premium SUVs including the Mercedes GLE Coupe and BMW X6, along with in-house VW Group rivals like the Porsche Cayenne, Bentley Bentayga and Lamborghini Urus. CAR went for an early preview of the new Q8 ahead of its official reveal, so we’ve got the full story on the new coupe SUV. 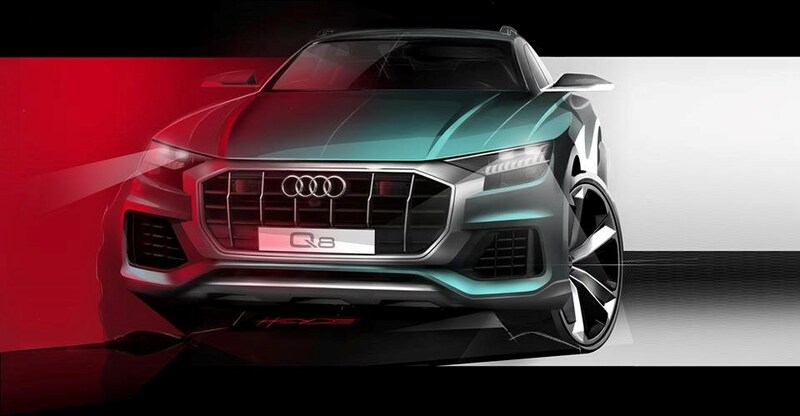 Remember the Q8 Concept and Q8 Sport Concept? The real thing doesn’t look that much different, does it? 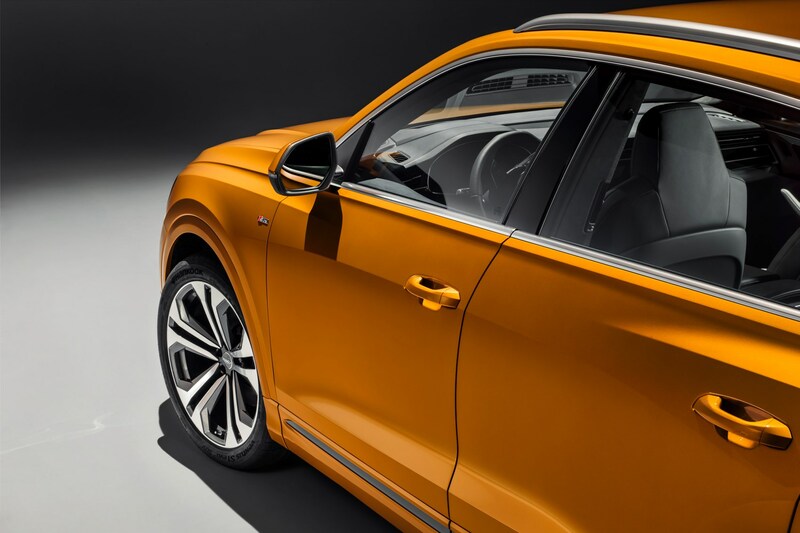 Audi says that the Q8 represents the next design step for the brand’s SUVs, mainly down to the styling of the front grille. The truly enormous octagonal ‘Singleframe’ uses both horizontal and vertical slats, with the vertical ones highlighted in chrome. 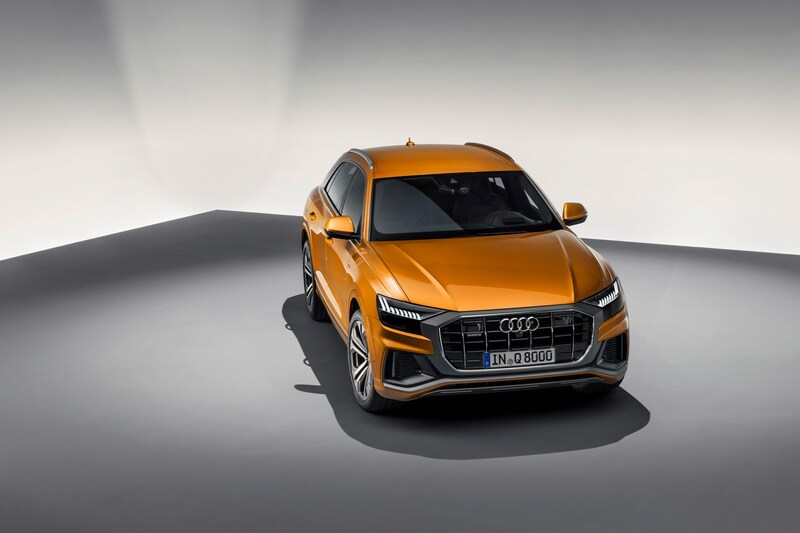 The next generation of Audi’s Q cars will feature a similar design when they’re facelifted – CAR understands that the Audi Q3 is the next car in line for a refresh. The ‘Singleframe’ arrangement will be body-coloured as standard, with S line models like the one pictured featuring an anodised grey one. A ‘black pack’ will paint it, the mirror caps and other choice exterior details in, you guessed it… black. 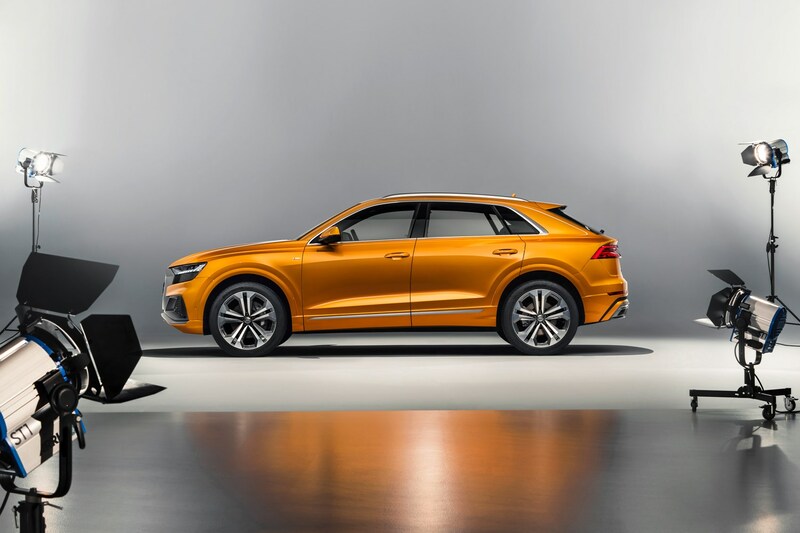 At the rear, the coupe-like silhouette makes the Q8 look awfully similar to that of the Urus in profile, with a thick C-pillar and integrated rear spoiler. The rear panel is a homage to the original Sport Quattro and, similar to the A8, A7 and A6, the Q8’s LED front and rear lights feature their own animations when you lock and unlock the car at night. 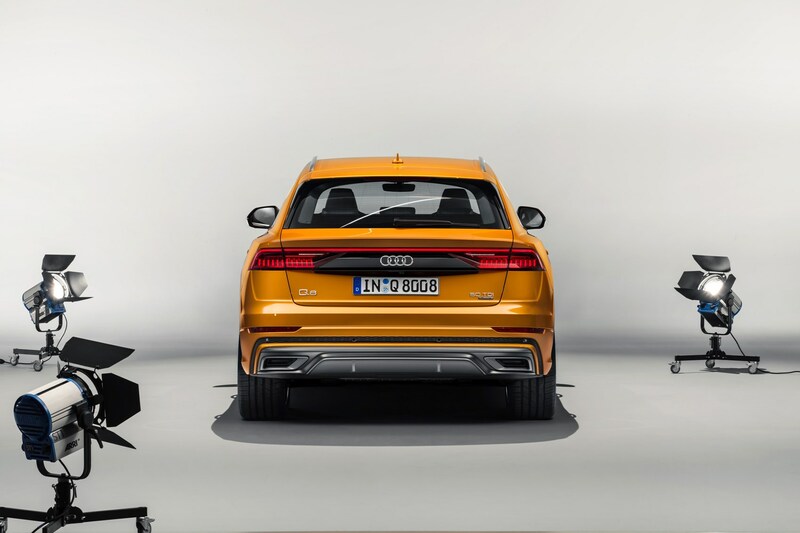 Dimensionally, the Q8 has the same three-metre wheelbase as the Q7 but it’s 66mm lower and 27mm wider than its more practical sibling. 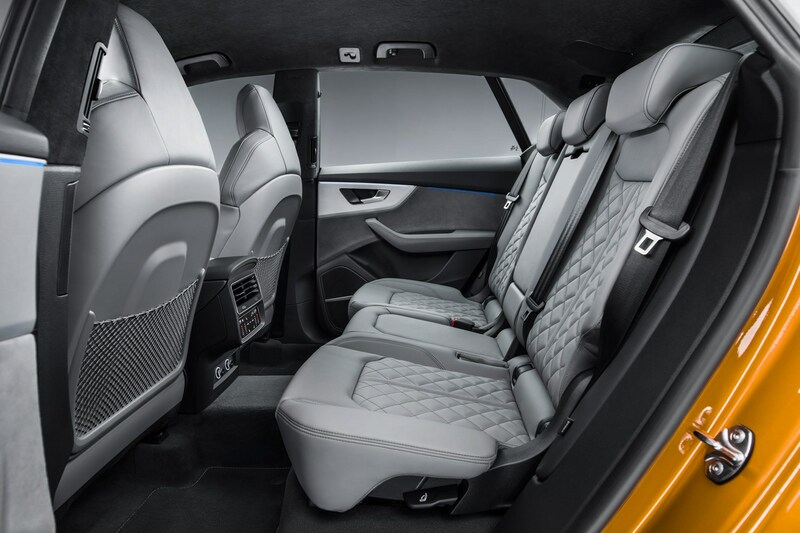 Since it’s just a five-seater, Audi says the interior layout has allowed for more rear space for those sitting in the cheap seats. 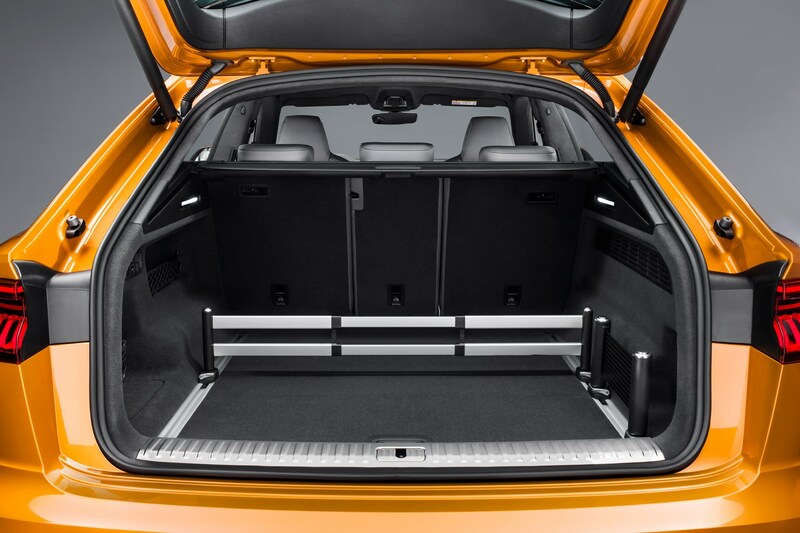 The boot with the rear seats up has 605 litres of space – 165 litres less than a Q7 in five-seat mode. 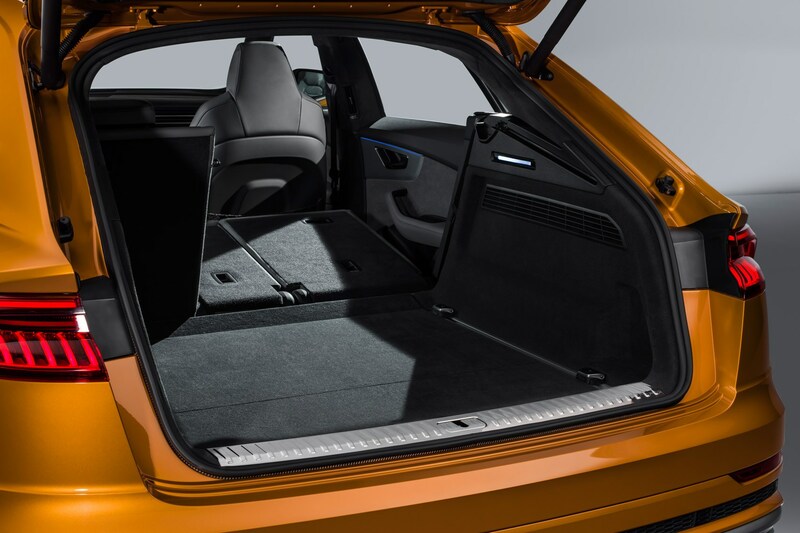 Still, after CAR was invited to poke around the new SUV earlier in 2018, we noticed that the load bay has a wide opening, a low load lip and square space. 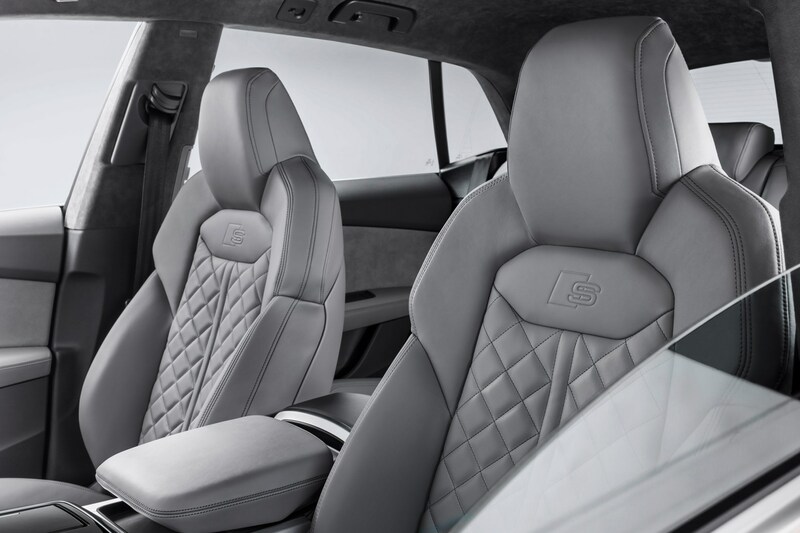 The seats fold flat, too. 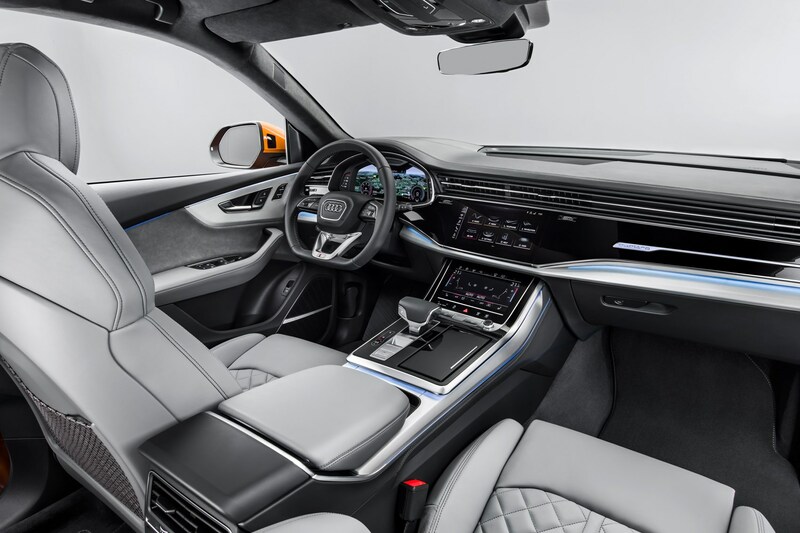 We’re trying hard not to say the same thing over and over, but the Q8 uses the same interior layout as the new A8, A7 and A6. So, there’s a twin-screen infotainment system that uses haptic feedback, intelligent navigation and AI-enhanced voice control. Audi’s Virtual Cockpit instrument display is there, too. 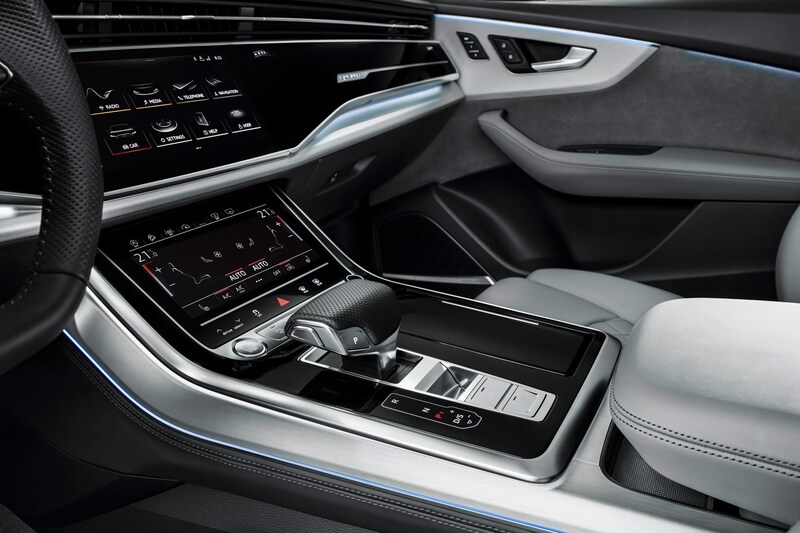 The only noticeable differences are the steering wheel, which is shared with the Q7 and Urus, and (hold in that yawn) different venting arrangement atop the dashboard. The centre console is high with an angular gear selector, flexible armrest and suitable stowage that can be optionally specified with a wireless phone charger. Unlike some of the MLBevo stablemates like the Bentley Bentayga, Lamborghini Urus and third-generation VW Touraeg, the Q8 does without physical buttons and switches for the on and off-road driving modes, save for an up/down Drive Select switch also found on the A8/7/6. While we’re big fans of the Q7, it’s worth pointing out here that the Q8’s cockpit is markedly different from its seven-seat sibling. While it doesn’t exactly need one right now, we’d expect the Q7 to be facelifted soon to keep up with the pace of Audi’s interior change. Audi is also promising solid refinement while you’re sat inside the Q8. Along with the excellent interior quality that we noticed during our early preview, a double-glazed windscreen is standard. Optional double-glazing for the side windows will make your Q8 an isolation chamber on wheels. 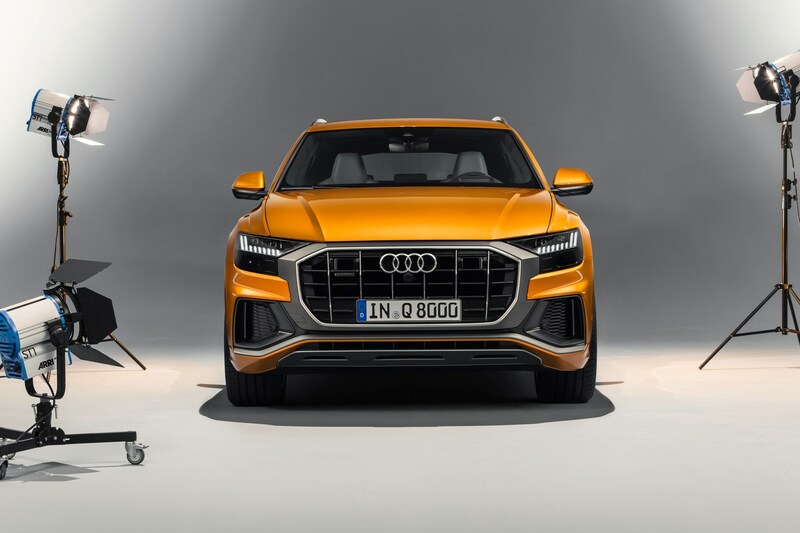 What powers the new Audi Q8? For now, V6 power is all that has been confirmed. 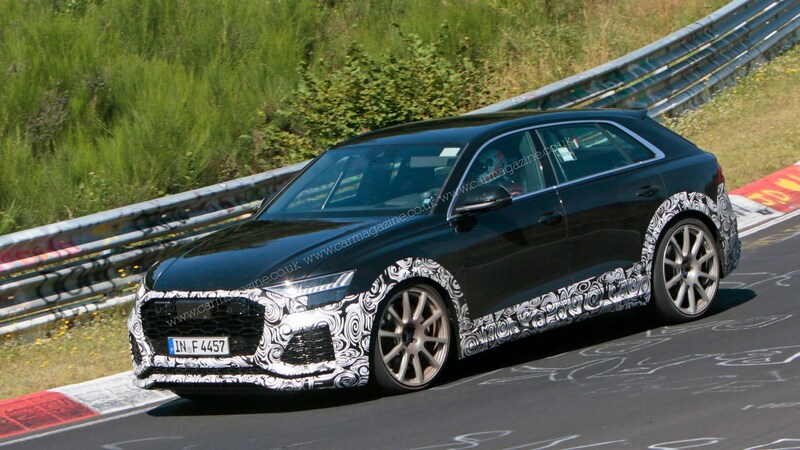 At launch, the Q8 will be available with a 3.0-litre V6 diesel badged (50 TDI) putting out 282bhp and 443lb ft, good for a 6.3sec 0-62mph launch and a top speed of 144mph. A 228bhp V6 diesel (45 TDI) and a 33bhp V6 petrol (badged 55 TFSI) will join in early 2019. Although unconfirmed, it’s pretty much a given that there will be an e-tron PHEV version at some point in the future, given that the Q7 e-tron, Cayenne e-Hybrid and Bentayga Hybrid all exist. We've also spotted an SQ8 out winter testing. All engine variants use a 48v mild hybrid system to allow for a much more integrated start/stop system, advanced coasting abilities and gives the ICE a gentle boost. 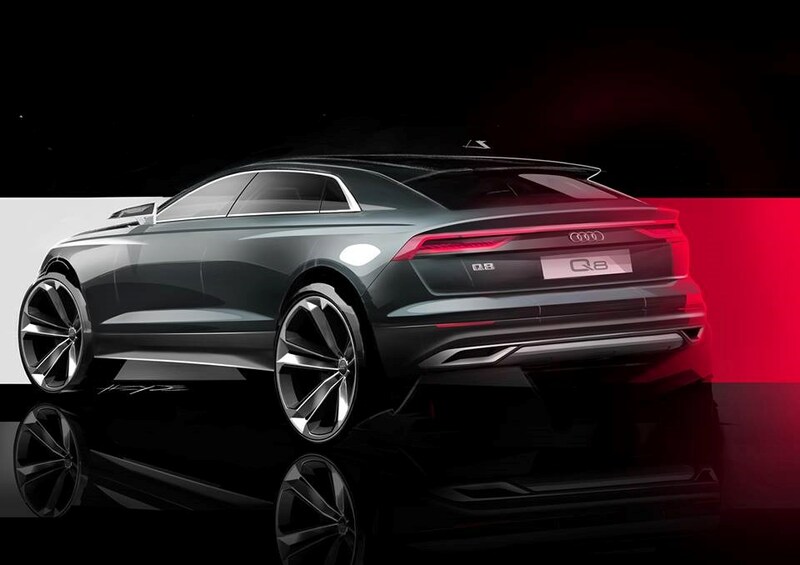 Every Q8 also has quattro all-wheel drive with a 40:60 front/rear power bias and an eight-speed ZF automatic. 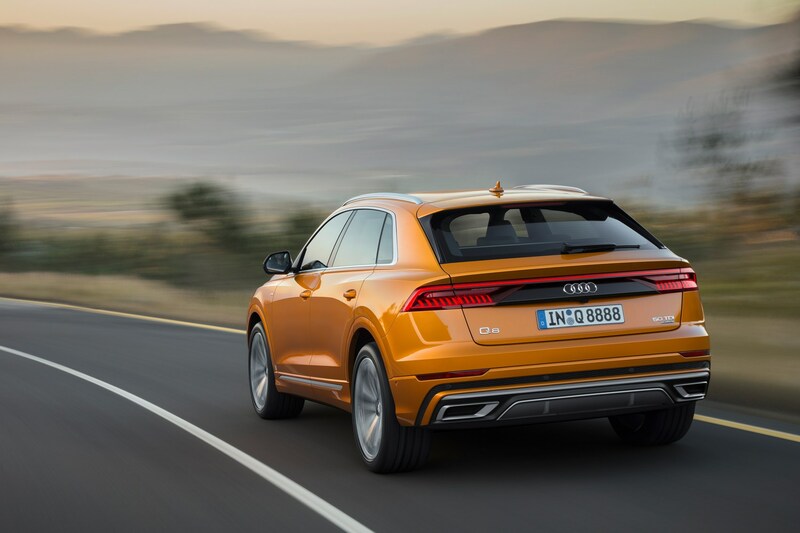 Standard Q8s have steel springs with adaptive dampers, while air suspension with either a comfort or sport bias can be specified – as can rear-wheel steering. 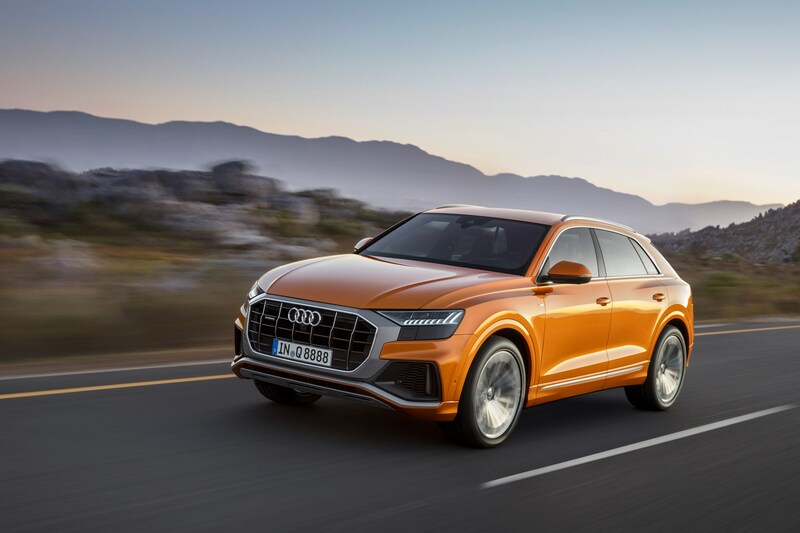 Audi’s new flagship SUV will be available initially in 50 TDI format in July 2018, with the 45 TDI and 55 TFSI versions joining the range in 2019. Prices aren’t confirmed yet but expect it to be a few thousand pounds more on average than a similarly-specced Q7.